Are you a boiling frog? 5 ways to help you to overcome complacency and take control! Based on all the research, it is evident that we do not even scratch the surface of the incredible trove of resources we have within us. By harnessing these resources we can develop our capacity to realise our full potential which can free us to live a happy and rewarding life, now – allowing us to become abundantly happy, healthy, and successful. Recognise that you influence your own life, be fully aware of this each and every day, in fact every moment. Test it out, change your mind-set tomorrow as you get up for work – be grateful and get up excited, looking forward to your day! Recognise your current reality, whatever it is, e.g. that you have to work, that to be personal accountable and take responsibility, you may need to ask for support, so ask let them know how? Have a clear vision of what it is you want to achieve. In life you get you focus on so now focus on what you want. Think of all the times you set a specific goal, like booking that amazing exotic holiday, building an extension or setting your sights on that promotion. You put energy and focus into it and made it happen! So to stop things you don’t want showing up in your life, get your focus on what you want in life. You steer your life – you are the pilot at the controls. Ensure that you navigate using your moral compass, take responsibility for everything you do, ensure that you live by your values, tap into your creative, personal, social, and spiritual intelligences. To grow and develop you need to be hungry for new learning no matter what stage of life you are at! Knowledge is a part of ones life’s journey – it is continuous. Be curious and keep that vitality for knowledge alive! For a long time we believed that we only used ten percent of our brain capacity. However the latest research from Stanford University provides evidence that suggests we use less than one percent of our brain. For ages we thought that there was only one Type of IQ. Now based on the research by Professors Howard Gardner, Robert Orenstein and the work of Tony Buzan; we know now that we have multiple intelligences. We have creative, personal, social, and spiritual intelligences. () Love it! We used to think that we lose brain capacity as we age. Science does not support this myth. Research on the brain from neuroscience, specifically about brain plasticity, poses a question – do we live complacent lives? The answer to this would be a resounding ‘Yes! We all live way below our potential’. 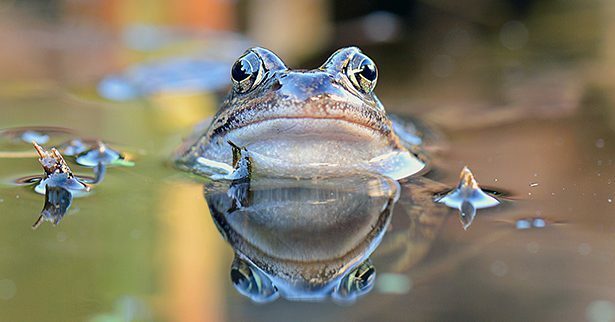 You may be familiar with a theory, which suggests that if you were to put a frog in a pot of water and slowly increase the temperature it would get adjusted to it and boil to death. Yet if you were to throw that same frog into a pot of boiling water it would leap out. This analogy perfectly describes so many of us, in relation to our daily working lives. We, like the cooked frog, gradually become comfortable with our surroundings. As we gradually adjust to the world we are in, we become more complacent by not growing or developing, but maintaining our behaviours. We function on autopilot, for example, tow the line of the organisation we work for without question or awareness. It seeps into us unconsciously, similar to the process of osmosis. This over time will come to a point where your job has destroyed your motivation! So bring the authentic mindful you to work, which is not just the focused and the intelligent you but the kind you, the fun you, the playful you, the compassionate you and the healthful you. Sometimes all the prestige, money, status can’t do what authenticity can do: make you happy! So get to work on designing your happiness. Many of the clients that we work with come to us with issues that relate to how they can take personal accountability and action to put the ‘zing’ back into work. On a Sunday night you could look forward to going to work on Monday! Imagine that! Unleash your unlimited potential to succeed and be happy. I would love to hear your thoughts so please do send me an email or leave a comment.